Well, I've tried reinstalling it, no more Runtime Error, but it still causes SMBX to crash. 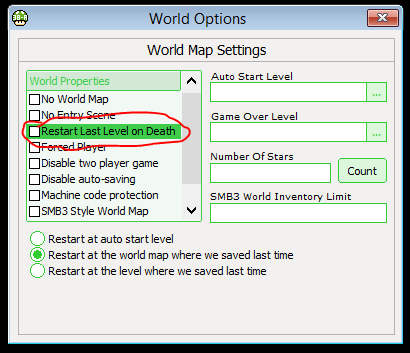 I'll try making a new world file and apply custom sound effects one by one to see if any of them are the cause of crashing before attempting to apply them to each individual level. The tree and bush also look really good. There's quite a bit of 1x1 pixels in the BG though. It looks ok, structured really well, but the 1x1 pixels need to go. Mine basically came from the turrets from the Portal series. The 3471 was just a random number I thought off the top of my head. Topic: [Any Version]What are you working on now? Re: [Any Version]What are you working on now? just adding a little note, I've seen SMBX videos before in a 16:9 720p ratio, but it's only because the uploaders stretched the footage to fit that video size. 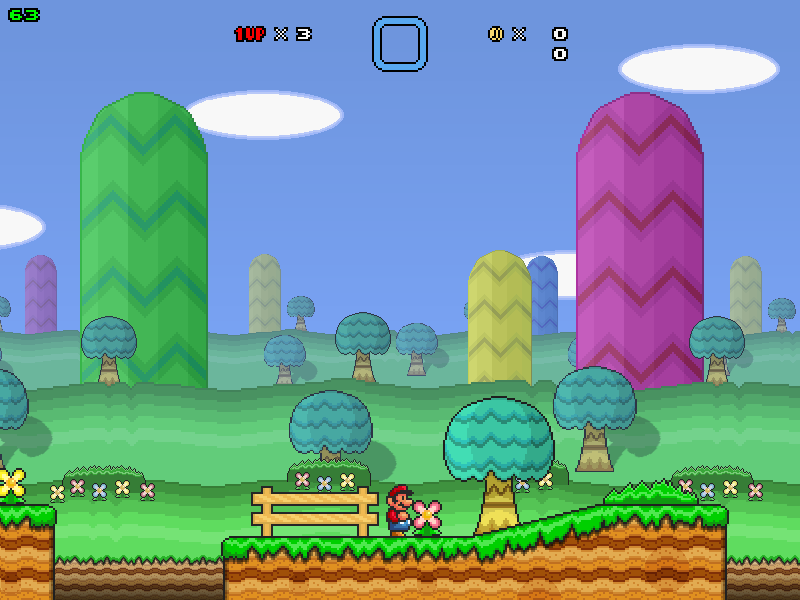 looking at the image provided, that brings to mind my own question... could we possibly get an extended path set for 1.4.5, so we can have all the special curves and turns SMW had? I've wanted that for so long. man, a widescreen ratio is something I've wanted since 1.3. I really hope they can implement it into the game sometime. I personally think a HUD editor would be really nice. It would be so much easier to understand and put into your games.